Last week I was intrigued to be nominated by Karen Haid, whose blog Karen in Calabria had been selected for the Unique Blogger Award. This is, apparently, a sort of ‘pay it forward’ for bloggers. I, in my turn, must nominate a few of my favourite blogs and pass on the questions I have been asked. 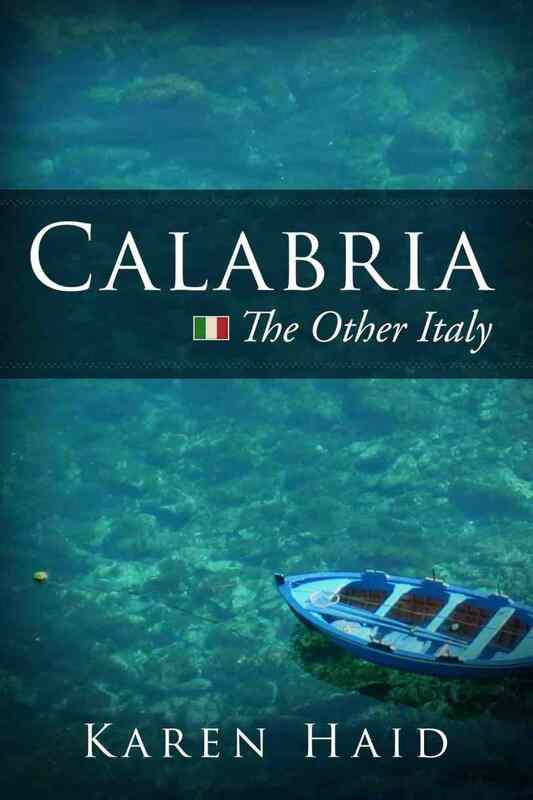 Before I continue, I must mention Karen’s wonderful book, Calabria: The Other Italy, which is well worth a read, whether or not you plan to visit Calabria. It is about her sojourn in that fascinating region and I thoroughly enjoyed it, as she writes in a unique and humorous style. As a result, I always make a point of reading Karen’s blogs and I loved her book, which I reviewed here in November 2016. I have been blogging about Italy and my life here for almost five years and have won a couple of awards, but this is the first time I have been nominated by a fellow blogger for this Unique Blogger Award and peppered with a list of questions that I need to answer. It’s a sort of ‘getting to know you’ blog post and I am required to nominate other bloggers that I, in my turn, consider unique and who must answer some major questions below, to carry the baton, so to speak. Here are the questions I have been required to answer. I hope you enjoy them. When I moved to Italy from Ireland all on my own in early 2013, knowing nobody and being slightly terrified, I began to write about my experiences, trials, tribulations, unexpected joys and the great sense of having achieved a long-held goal. It was a major landmark in my life. But was I mad? Many thought so and I wasn’t too sure myself! The response to my blog was slow at first, but by degrees I built up a solid base of loyal followers who have been my cheerleaders ever since. My first year in the Euganean Hills, near Venice and Padova gave me a completely new perspective on life, having been working hard as an interior designer for more years than I care to count. Now my time was my own and The Hills, beautiful and tranquil as they are, with vineyards as far as the eye can see, were perfect for me. I began to unwind. 2. Has anything interesting ever happened to you thanks to your blog? Most certainly! I met my husband, fellow blogger Tom Weber, through our mutual blogs just eight months after I arrived. We visited a Palladian villa together – Villa Pojana near Vicenza, to be accurate – due, purely, to our mutual admiration of the great architect Andrea Palladio. 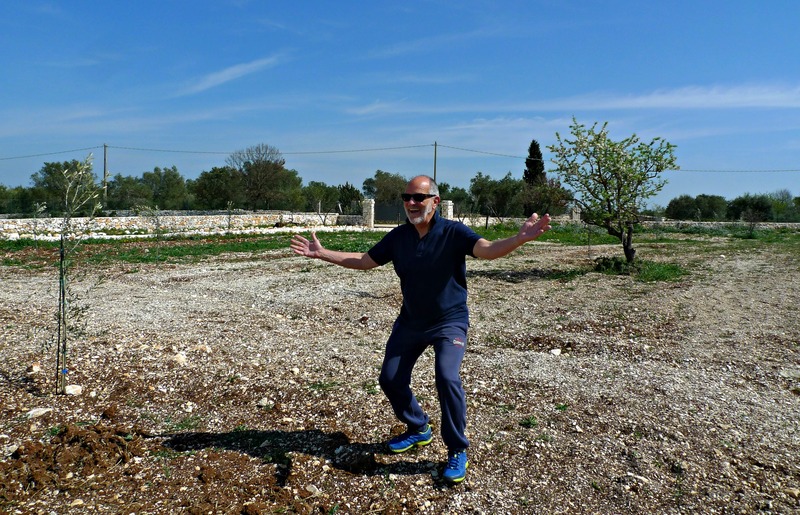 We have been married since July 2016 and moved to a ‘baby’ olive farm in Puglia, near Ostuni, just eighteen months ago. It’s been a lot of work, but we’re getting there. Now we walk almost daily among the trulli-filled olive groves of the Itrian Valley together. Then, due to my blog, I was contacted by Huffpost.it who ran an article about my exciting discovery of middle aged romance – who knew? 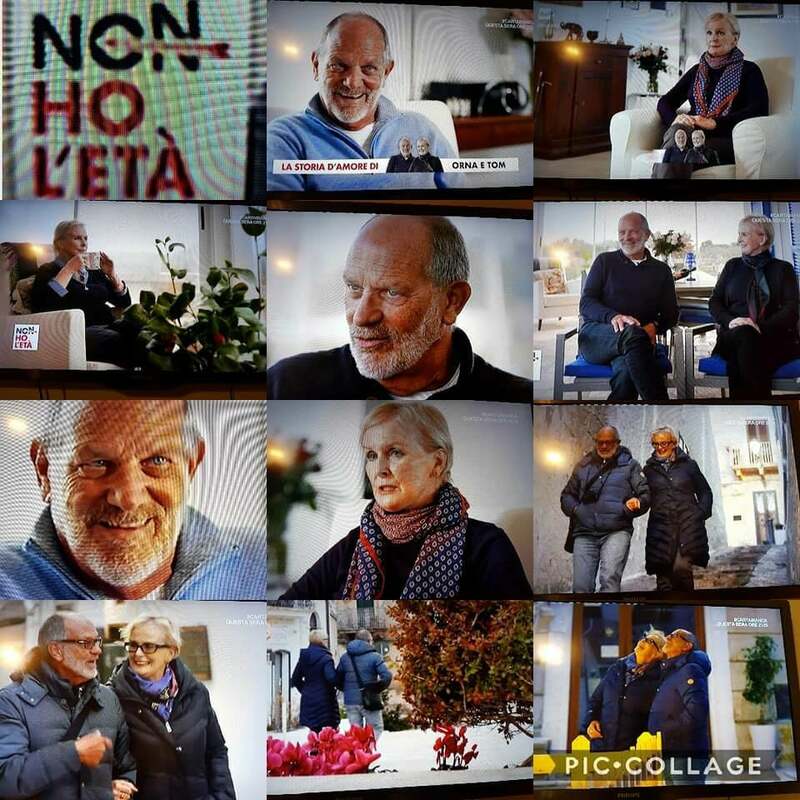 – which was followed by a recent television programme on RAI 3, where Tom and I were interviewed for a programme called Non Ho L’Eta (I have not aged! ), which aired on 23rd January this year. So, yes, you could say my blog has led to many life-changing events. All of them wonderful. This compilation was put together by a loyal Facebook friend. 3. If you could travel anywhere, in this very moment, where would you go? Right now, I would love to visit the south of Sicily. High on my wish-list would be visits to Noto, Ragusa, Agrigento, Sciacca and Marsala. I visited Sicily previously, mainly to the north and the Aeolian Islands, plus Syracuse, but I think it would be much more enjoyable to visit there with Tom, where we can share our mutual enjoyment of travel, photography and writing about it all. Having lived in South Africa and worked in Mozambique for several years, I am trying to persuade Tom to visit there with me in the near future, but that trip is under discussion right now. I’ll keep you posted! Before I share my nominations for ‘Share the Love Unique Blogger Award’, I feel I must mention my criteria for what I consider a good blog. First of all the photos must be good, preferably excellent. I cannot bear crooked photos with horizons and buildings tilting drunkenly. It’s just a minor thing I know, but the photography on a blog is important, as a blog is a visual tool created by a blogger with the goal of interesting the readers in the destinations they wish to visit. Murky, over-exposed, lopsided photographs are a big turn-off for me. Secondly, grammar! What can I say? Blogs need to be well written, not just thrown together in half an hour. Perhaps I am being too critical – please let me know if you think I am – but there are too many blogs out there littered with grammatical errors that make me squirm. I also prefer to read blogs by people who actually live in Italy, at least most of the time. Those of us lucky enough to spend our days here, not just on holiday or spending an occasional few weeks in the main tourist areas, illustrate a completely different perspective and more authentic view of Italian life. However, I also enjoy reading about the passion that travellers feel for Italy, without whose enthusiasm our blogs would not survive! The Palladian Traveler – Tom’s blog was one of the first I read when I moved here. His inventive photography, backed up by well-written narrative, is always fabulous and (I know) painstakingly put together. Girl in Florence – Georgette’s wonderful blog is set mainly in Florence and illustrative of all things Florentine. It is pure magic. Always enjoyable and full of interesting information for travellers to Italy. Full of Italy – Rachel lives in the Friuli and her blogs are friendly and entertaining, with the emphasis on food, wine and slow travel. Bagni di Lucca and Beyond – Debra lives between Bagni di Lucca and Brisbane. Her blogs are the blogs of a highly interesting world traveller and I greatly enjoy them. Great photos too. Divina Cucina – A perfect blog for all foodies and those who love to cook good Italian food properly. Judy’s blogs are truly inspirational and full of mouthwatering photographs. 1. What makes something bloggable for you? If I find myself exploring someplace new, or am excited by the visual beauty of a place – taking lots of photos in order to remember everything – I always feel a desire to share the experience with my followers. 2. If another blogger (me) would be so lucky as to be invited for dinner at your house, what would you dazzle him or her (me) with? My goodness, where to start! I love to cook and, having spent so many of my formative years in Ireland, Irish cuisine is often on the menu at Villa Allegra, in particular, my fabulous fish pie, which comprises a delicious, creamy sauce enveloping three different types of fish and topped with mashed potatoes. Homemade brown bread would be a distinct possibility too and apple crumble is one my specialities. However, I mostly stick to Italian food these days as the ingredients are right there on my doorstep. It’s difficult to beat pasta, especially with fresh mussels and other delicious Pugliese ingredients. 3. Do you think Internet articles that display how many minutes it will take to read them could be a sign of the end of the world as you know it? Absolutely. If an article interests the reader, it should not contain a time limit or word count. I look on things like that as the new ‘instant gratification, fast-food’ ethic, which I cannot abide. What next? Condensed books? Where’s the pleasure in that? My blogs are sometimes long, sometimes short. Readers can choose to read them to the end or not. It’s a free world. Which do you enjoy more? Writing or photography? I enjoy both and am often torn, but basically I am a writer with a love of good visuals to get the message across and to get people enthused about the places I visit. How about you? Do you write the narrative and then include the photos, or the other way round? Thank you Orna for nominating my blog. 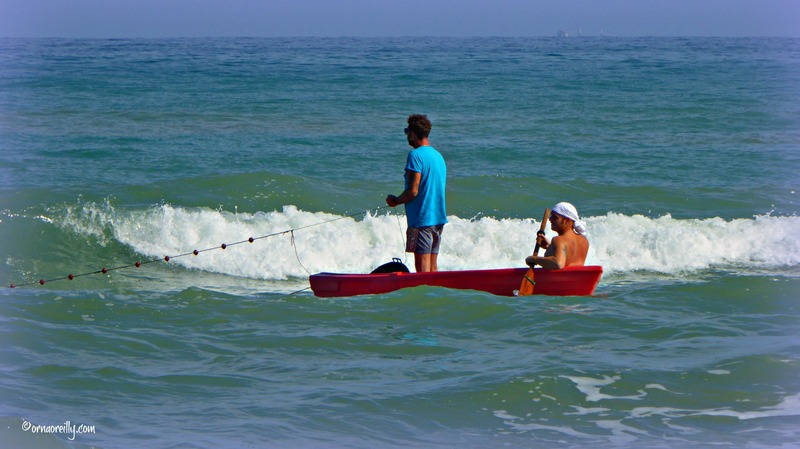 I feel honoured as I find your blog wonderful and full of fabulous stories about Italy. I will think about my responses to the questions. Hi Orna, I have written my response and I am happy to see that more than 70 people have clicked to link to your blog. It is great to share other blogs. how great! am leaving on Thursday for a conference in the USA and will work on this when I get back! Grazie! What a wonderful response and thank you for all your kind words! And your photos make me want to linger and scroll back up as much as your text. You ask a very interesting question about writing and photos. I don’t consider myself a photographer so I usually write my piece and then hunt through my photos, although I don’t start out writing without knowing that I have photos to fall back on. Grammar … don’t get me started. Thus said, one of the blogs I nominated is an Italian who writes in English, and the amazing thing is that her mistakes don’t bother me. She’s an excellent communicator and it’s definitely a “unique” situation. By the way, I obviously wasn’t all that clear on the “rules,” but you have, not surprisingly, overachieved on your response. You weren’t “required” to answer the first 3 questions. Those were the ones that I had to answer from the person who nominated me, but I’m glad you did. Now, I’m off to click on your nominations. I already enjoy Debra’s blog, and I look forward to the next opportunity to read Tom’s elegantly rolling quips (but he might be too busy eating your exquisite meals). You have such a great backstory, but I should probably have included a why-did-you-start type question anyway. 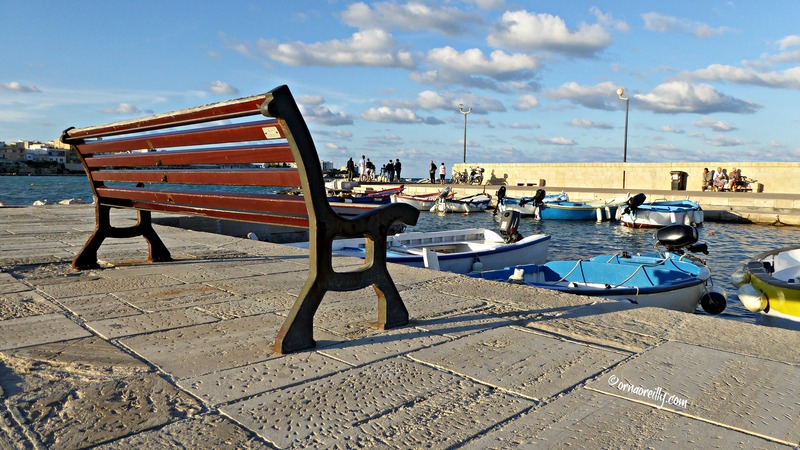 If Ostuni wasn’t on my list before you moved there, it definitely showed up when you began blogging about it. A visit will definitely happen, just not sure when, but I am confident it will be very blogworthy. Great! Perhaps we can do an interesting day trip together. Lots to see here and we’ve been wandering the countryside. Very scenic and super-friendly. Congratulations Orna, you deserve to be acknowledged because you do such an excellent job in your blogging. I always feel like you take me ‘right there’ to the place you visit and I always enjoy the photos you share since to me they are the next best thing to being there! In answer to your question, I like this “share the love blogger award.” It’s how I found your blog! Complimenti – congratulations on your nomination! Thank you Suzanne. I had a look and it’s great!